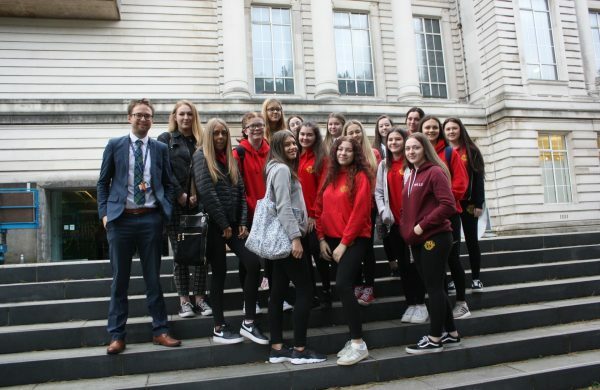 Before half-term the Year 12 Art and Design GCSE students attended the Ulster Museum on Wednesday 24th October 2018. 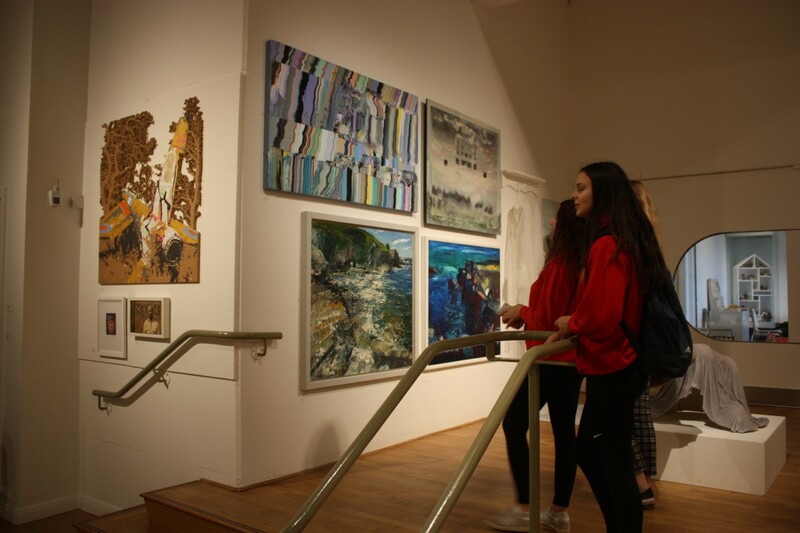 This was an excellent opportunity to further develop their portfolio of work and see the importance and value of Art in the community. 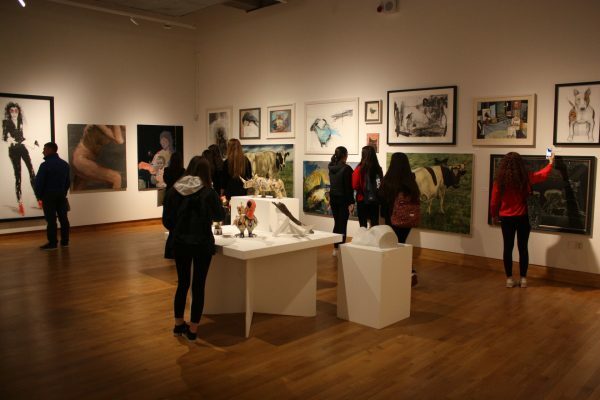 The students visited the 137th Royal Ulster Academy annual exhibition in the Ulster Museum which showcases original works across the disciplines of the visual arts by emerging and established artists. 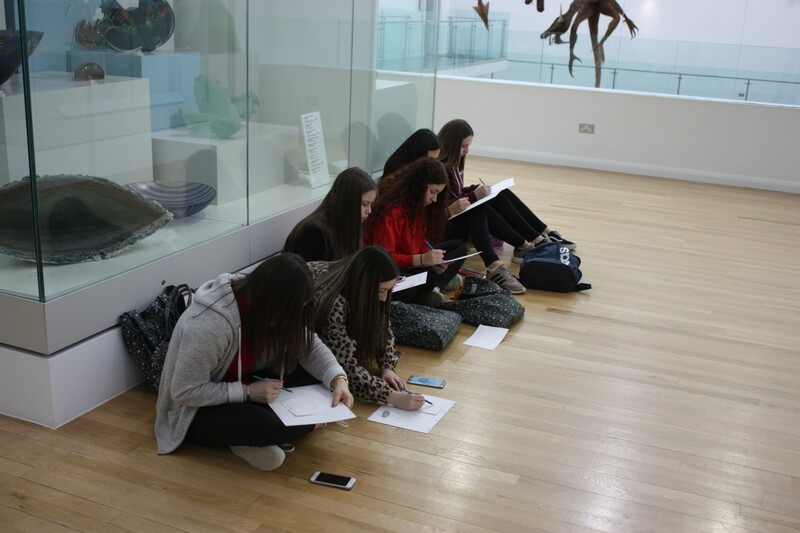 They were able to photograph, take notes and draw sketches of artwork that link into their different themes of work. 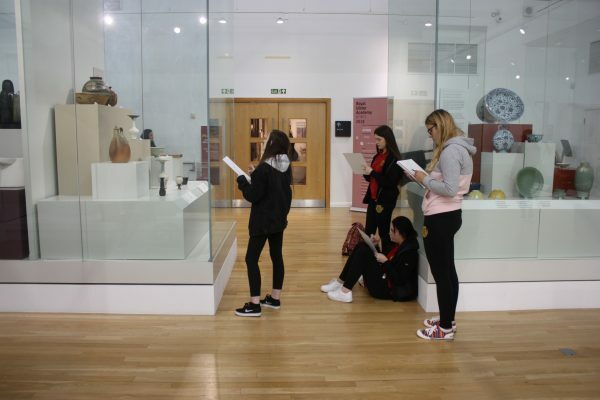 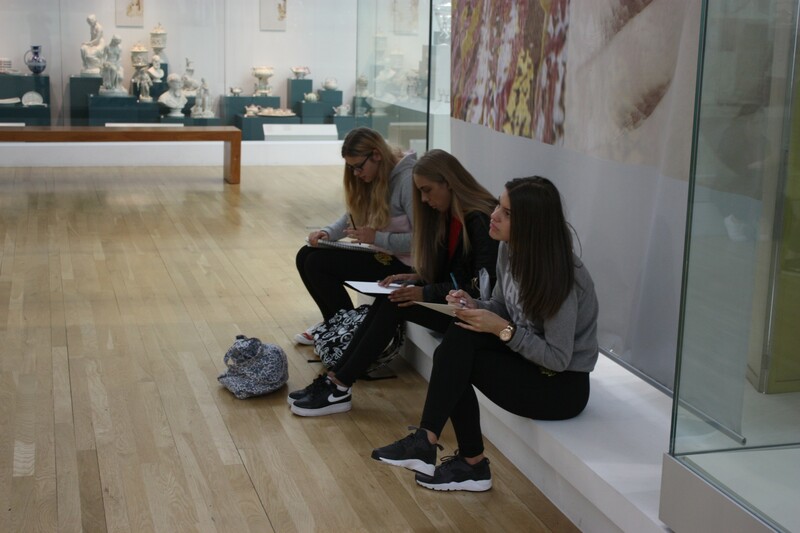 The students took the opportunity to draw from first-hand, sketching many two dimensional and three dimensional pieces of work in the ceramic area and throughout the museum and galleries. 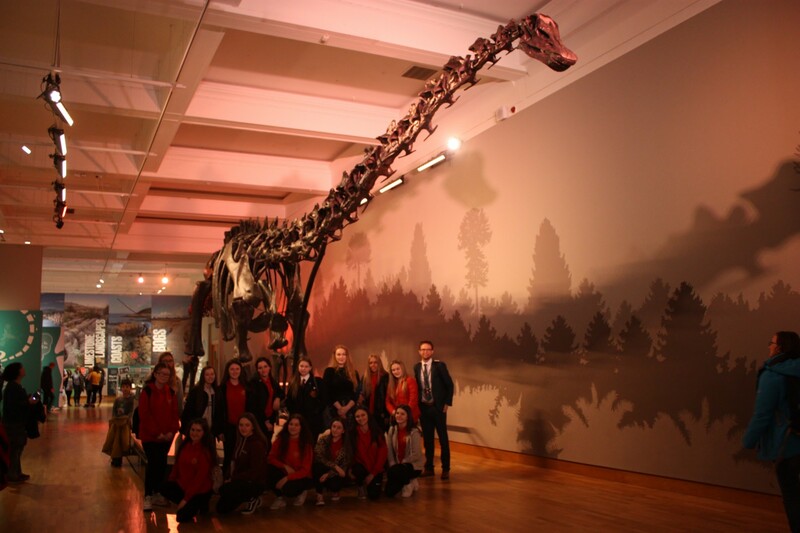 The students even got the chance to do a range of sketches and close up photography of ‘Dippy’ which is the Natural History Museum’s iconic Diplodocus dinosaur skeleton on tour in Belfast.